It’s been a good couple of weeks for Arizona’s Native Americans, at least symbolically. Last Thursday night, Gov. 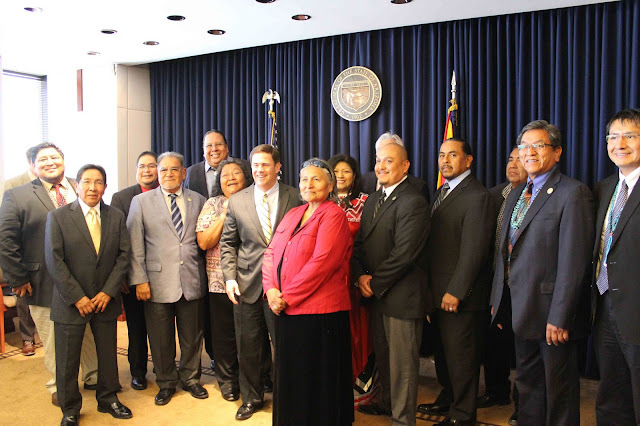 Doug Ducey signed SB 1235 into law, establishing June 2 as Native American Day, an official (if unpaid) Arizona holiday. On March 27, legislation to name three Arizona highways after Native American veterans unanimously passed the senate. Since the actions were in the form of memorials rather than bills, their sponsor, State Sen. Jamescita Peshlakai (D-Dist. 7) can immediately petition the Arizona State Board on Geographic and Historic Names to designate the sections of highway. Peshlakai was also the chief sponsor of the bill designating Native American Day. 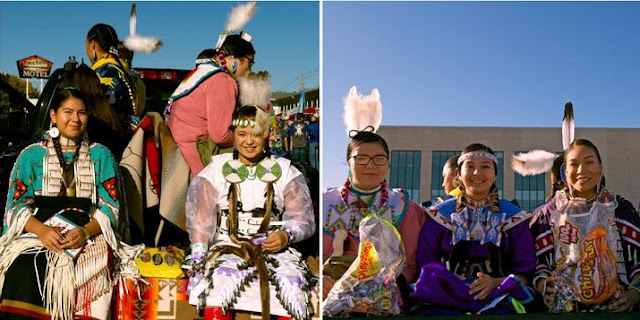 Because the bill will take effect 90 days after the end of the current legislative session, Arizona won’t be celebrating Native American Day this year. The first celebration will be in 2019. Peshlakai said she envisions the day as an opportunity for Arizona’s 22 indigenous tribes to celebrate their heritage while also discussing issues on the reservations and educating the state’s non-Indians both about the tribes’ cultural beauty and the obstacles they face. Sponsored by Peshlakai and 10 other senators, the three memorials naming the highways passed the senate unanimously. Peshlakai, an Army veteran, said in a press release the designation would honor the 11,000 living Native veterans who reside in Arizona, along with those who have passed. Responses to "Gov. Doug Ducey signs into law, June 2 as Native American Day, an official Arizona holiday"